Softech Solutions continues to be prevalent in the community and nationwide. Please browse through the most recent media coverage of our company to see how Softech Solutions has promoted our own success and that of our clients. Enjoy! 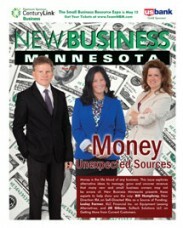 Our company has been featured in “New Business Minnesota” a number of times throughout the past few years. We hope you enjoy reading what we’ve been able to do for our company and that of our clients at home here in Minnesota. Softech’s founder, president and CEO is also great at explaining how she’s helped companies save time, gain profit and make better decisions by providing business strategies and marketing campaign ideas that work! Please contact us now at 612-309-5709 or email to see what Softech Solutions can do to help your company make better decisions, and increase profits!